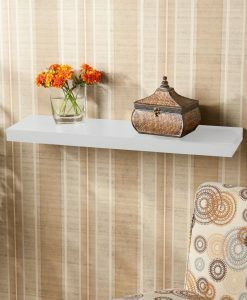 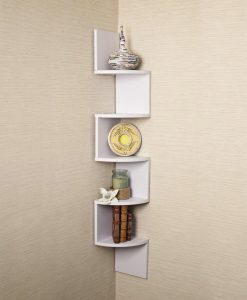 This corner wall shelf is unique & Wonderful spacious artsy design that will add to any wall decor you have. 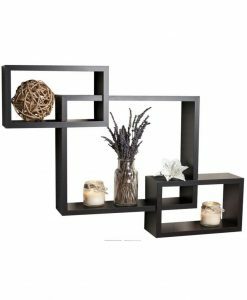 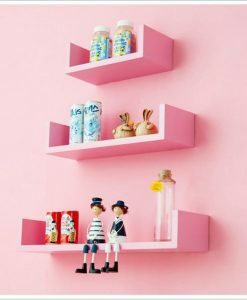 This unique & Wonderful spacious corner shelf has a fun and artsy design that will add to any wall decor you have. 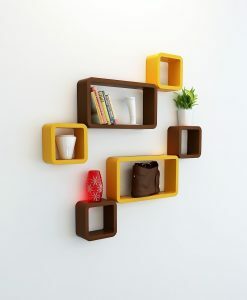 Five shelves are lined up on a laminated walnut MDF piece on opposite sides, forming a corner shelf on both walls. 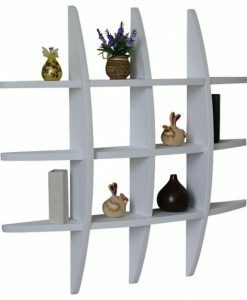 The 5 curved shelves are beautifully placed to utilize any corner space in the home for your shelving needs. 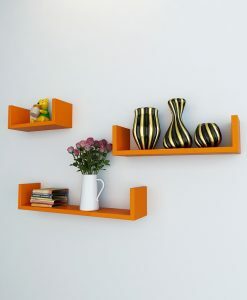 Fully Satisfied .Nice quality , finish of product so good ,fully satisfied .